Unlike the yearly releases of Collector's Edition, there has only been 2 Mortal Kombat games released since I started collecting. 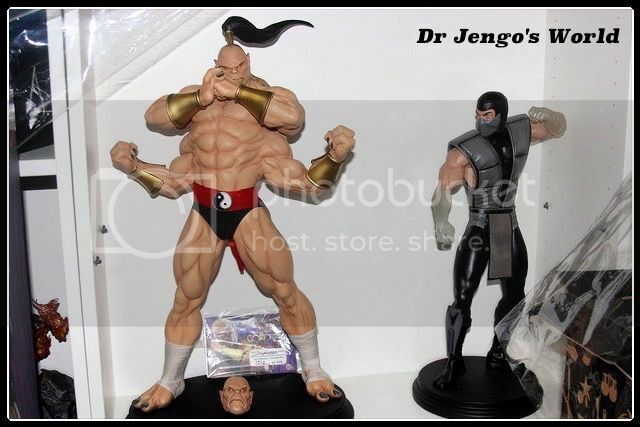 But with the Mortal Kombat license being given to statue companies, a small fortune has been spent to bring these characters into my shelves, with plenty more on the way. Here's my Mortal Kombat collection, or should I say Kollection.. The ladies from Syco Collectibles. 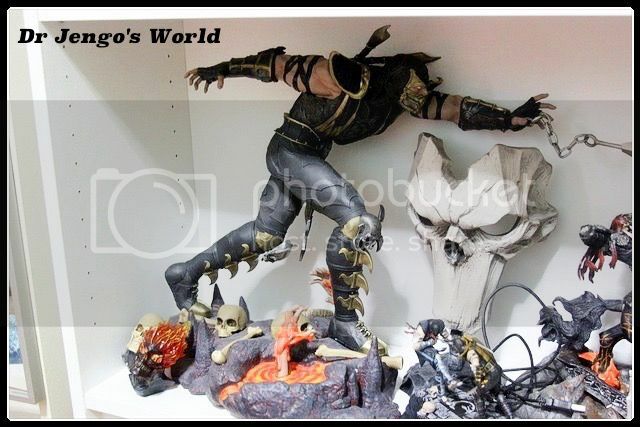 For several reasons mentioned before, I have quit collecting from Syco Collectibles. I have put up most of it for sale.. but intend to keep the ladies. 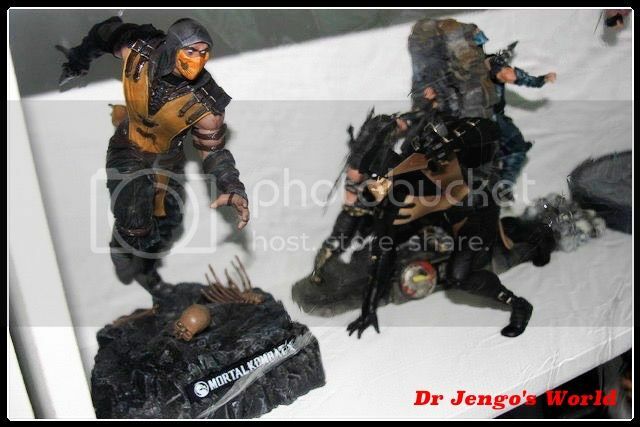 The MK9 rendition of the female kombatants were my favourite. Plus, the 3 ladies look great together. With several deaths, aging and the dead rising in Mortal Kombat X, I will probably never get to see my favourite ladies in their best form ever again. So for memories sake.. these 4 statues will stay in my collection. The CE figures are a bit of "hit-or-miss". A lack of consistency among the figures ended up with a very collection that looked like it originated from many different sources. 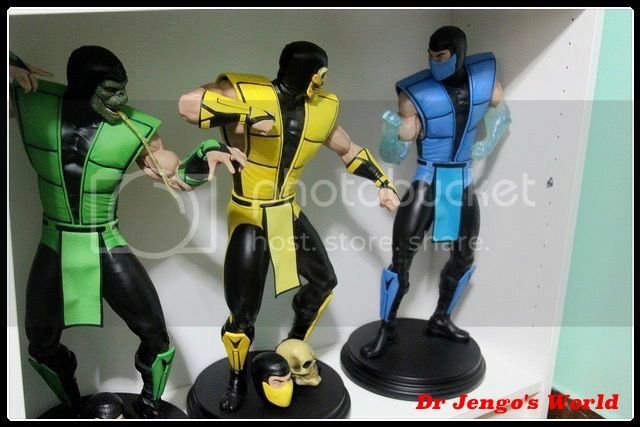 Well, guess it works since all they could choose from a 20-odd roster was Scorpion and Sub-Zero. 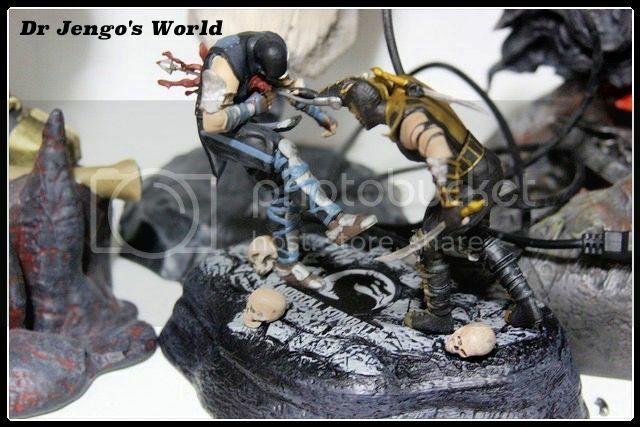 (They didn't even try in MKX, it was just.. Scorpion). Big is almost always definitely better. Initially, I opted to go for the more affordable Syco Collectibles. 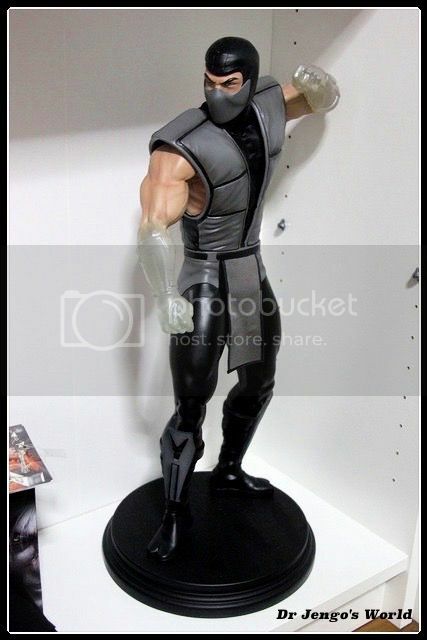 Additionally, Syco Collectibles were rolling out Mortal Kombat 9 statues while I was still waiting for the 2nd PCS pre-order to go up after Scorpion. 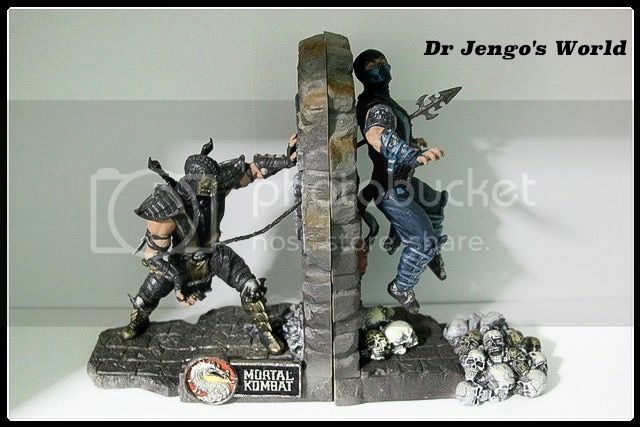 I would rather buy some MK9 statues that I liked, than sit and wait for who-knows-how-long for the next one from PCS. But when PCS finally picked up their tools, it was a no-contest. Along with the heftier price tag came far-more superior products. Things just got easier when Syco crashed after that, and it was all PCS after that. 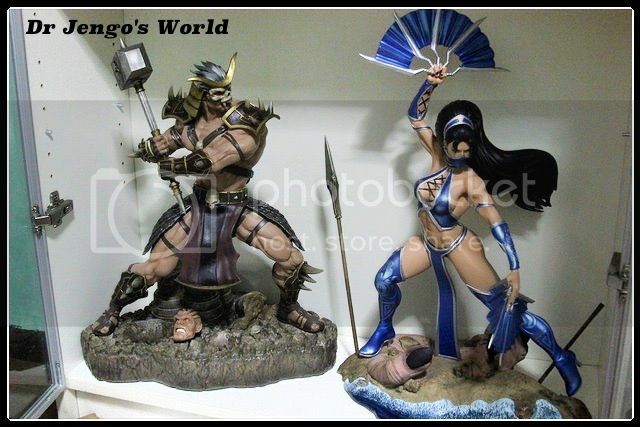 Totally no regrets.. Just counted the other day, there's another 10 statues on pre-order from PCS, including two 1/3 scale classics. Every few months, this collection gets bigger and it's just amazing to look at. 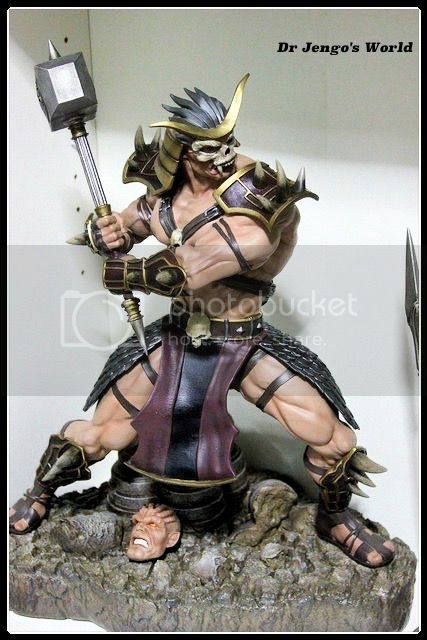 Missing the Scorpion Life-Size Bust and the 1/4 Scale Baraka, since I ran out of space, that's all for my Mortal Kombat collection. There's 2 coming in just next week, with lots more over the next few months.. so do give my Facebook page a like, to follow all the updates to my collection!